A woman’s engagement ring represents her and her style. It’s something she will wear everyday and everyone fawns over. Your man deserves to have a ring just the same. Trends for men’s wedding bands are always changing and there are new ideas popping up all over the place. 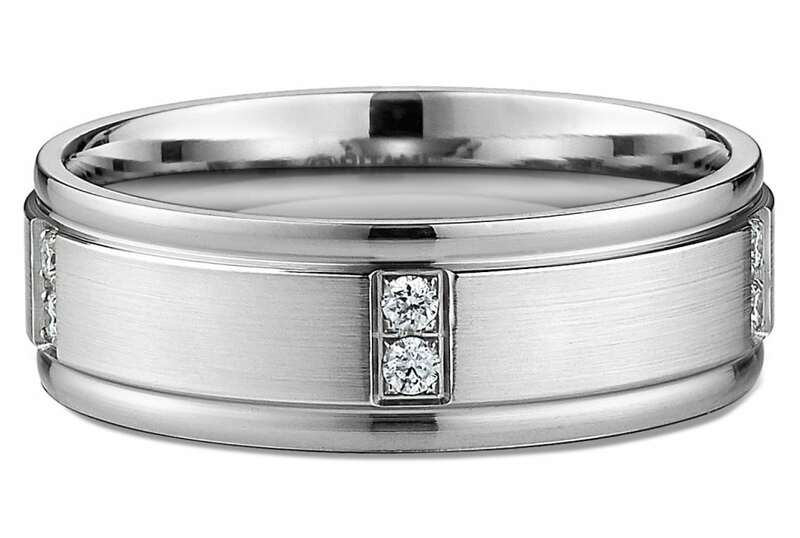 With the focus mainly on engagement rings, your man’s ring is easily overlooked. Make sure he gets the band of his dreams as well. Here are a few new ideas to find a special ring just for him. 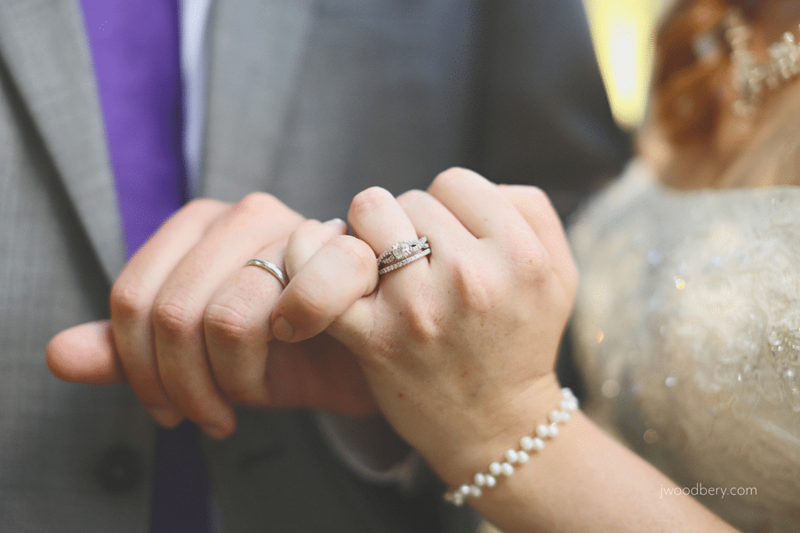 If your man falls in the category of the 42% of men that lose their wedding band within the first 5 years, a simple, easily replaceable band might be a wiser choice for your groom. 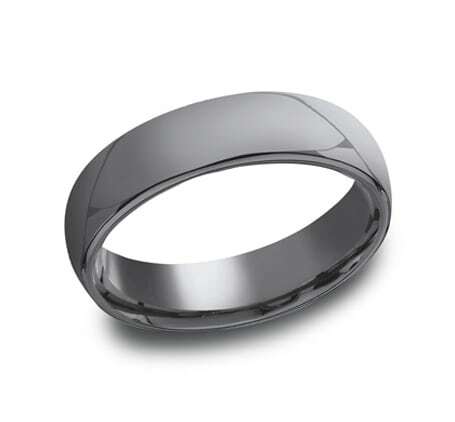 A simple ring, like the ones designed by Benchmark, are the perfect choice for something clean and masculine. Their line can be found at places like Steed’s Jewelers in Birmingham. If you’re looking for something a little off the beaten and path, then getting a more personalized ring might be the route for your groom. Brent and Jess, located in Maine, has the perfect example of a one of a kind ring. 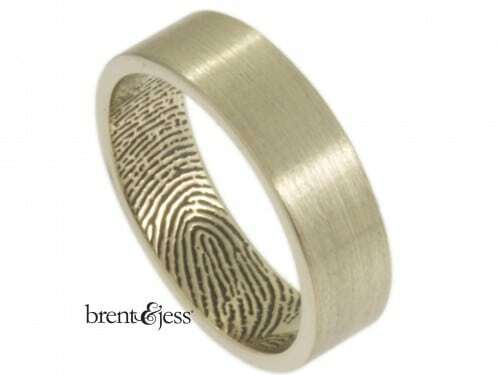 They specialize in placing your loved one’s fingerprint on your ring, so they are with you always. 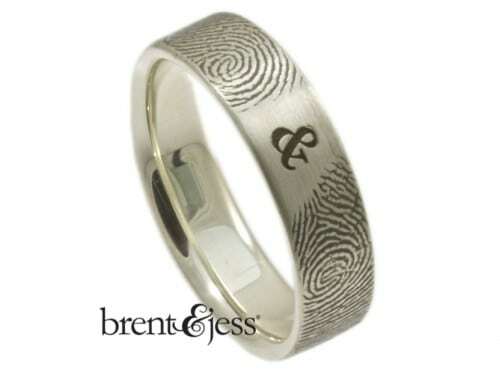 They offer anything from their more subtle Interior Fingertip Print to their You and Me Fingerprint rings. No matter what look you’re going for, Brent and Jess have it, and can make it special just him. Your groom may be a stylish man or one who just wants something that is going to pop. If that’s the case, something different is probably in his sight. Ritani is a great designer that offers a variety of simple to simply unique rings just for him. With a location in Tuscaloosa as well as stores in Birmingham, carrying Ritani, it is a great option to just pop in and check out. 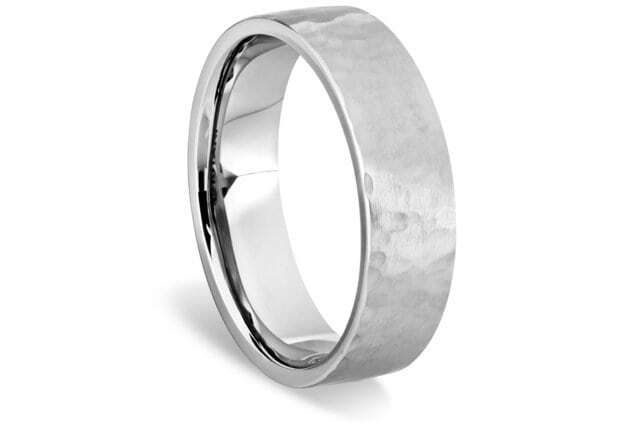 Their Forged Polished Edge wedding ring gives just a hint of something different while not overwhelming. If he’s looking for something even more stylish, the Diamond and satin-Finish wedding ring may be more his style. It’s not every day you see a ring like these. Websites like TheKnot are a great way to search around and get an idea of the latest and greatest in men’s ring. They make it easy to find something you like and the places where you can find it. No mater which ring sparks your interest, the perfect ring is out there somewhere, and with a little searching your groom is sure to find the right special ring just for him.